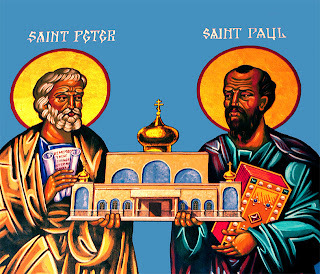 Feast of Saint Peter and Paul is a feast celebrated to honor the martyrdom of the apostles Saint Peter and Saint Paul. This feast which is observed on 29th of June every year commemorates the bravery of the two great apostles. They were imprisoned in the Mamertine prison in Rome. These saints were the patron saints of this city, so the main focus of this festivity is on the Basilica of St. Paul’s outside walls, where secular and traditional celebrations of feast of st. Peter and feast of st. Paul take place. 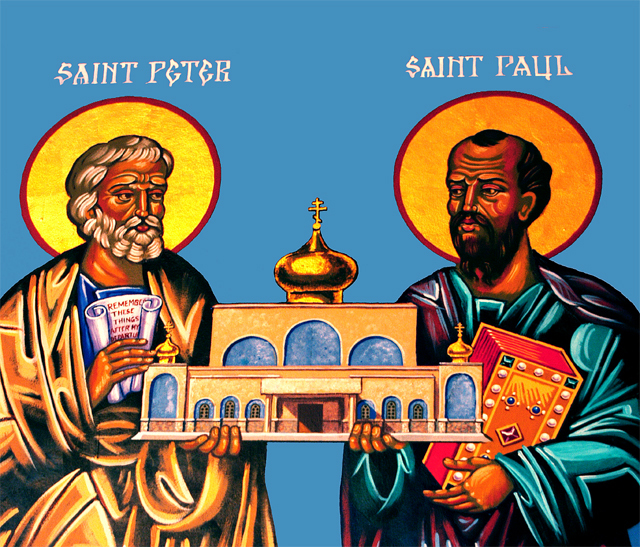 Solemnity of Saints Peter and Paul is a holy day to celebrate in many parts of the world. St Peter was honored by designating as a leader to lead the flock and St. Paul’s authority is equivalent to the present day pope. 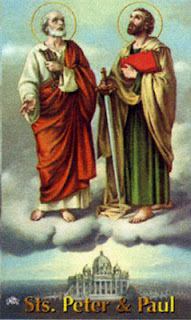 St. Peter was crucified whereas Saint Paul who was a Roman citizen was beheaded. Feast of Saint Peter and Saint Paul is celebrated in worldwide Roman Catholic churches for paying respect to the great saints of Christianity. In Goa a tradition of Sangodd is observed in this festival by the fishermen in Bardez taluka. This villages located along the northern coast of Goa celebrate feast of St. Peter and Paul 2013 in the monsoon season, when they make a raft by tying their fishing boats to use it as a stage. Beautiful minuscule models of Chapels and Churches are built on this stage. After the morning service and a huge celebration the festival of Sangodd is held. Entertainment in the form of Tiatrs a kind of local drama along with folk music and dances are performed by local artists. These performances are watched by a large crowd, which is gathered on the banks of the river. Candolim becomes vibrant with the celebrations of this festival which includes boat rides and folk dancing. It is believed that St. Peter was a fisherman hence this feast is mainly celebrated by the fisherman community. The occasion is highlighted with fireworks which is displayed in steps and ends at the Chapel of St. Peter. Feast of Saint Peter and Paul in Goa is a must visit event of the region. The traditional festival of sangodd held in the village of Candolim begins at the Orda jetty followed by a cultural program on the makeshift stage prepared specially for the feast. Spectators chant Viva San Pedr as the sangodd travels along the banks. These unique festivals of Goa attract many tourists and the budget hotels in Goa located at different tourist locations accommodate these tourists at affordable costs.